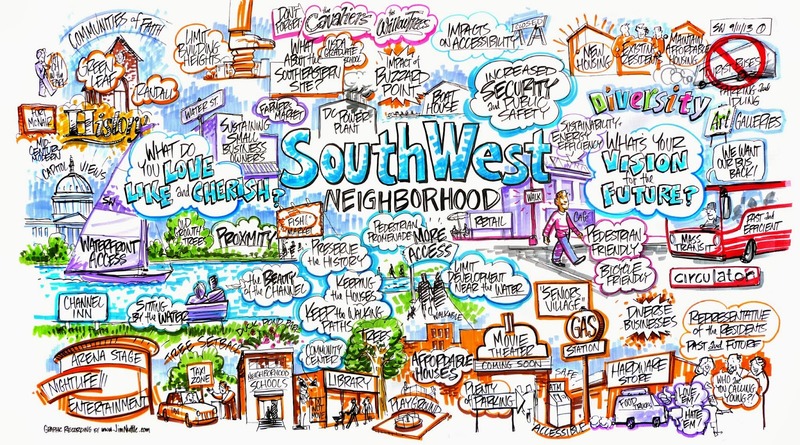 Build on Southwest’s growing arts movement as a means to celebrate the neighborhood’s legacy. Celebrate the distinctive character of Southwest and promote preservation of its outstanding modernist architecture, landscape architecture, public housing and urban design. 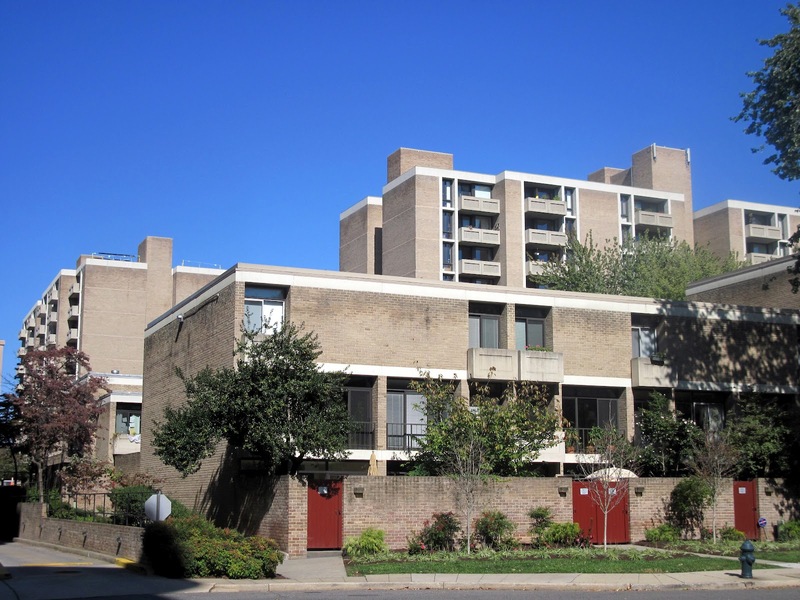 Retain and enhance the character of the L’Enfant Plan in Southwest, including associated vistas and reservation. Enhance pedestrian and bike access between parks and open space as greenways along I Street. Redesign Lansburgh Park as the Central Park of Southwest so it becomes a thriving neighborhood amenity, better connects to the community and serves as an anchor for future development around the park. Transform Randall Recreation Center into a thriving park and community center that blends recreation and community/arts oriented programming. Improve outdoor space at King-Greenleaf Recreation Center. Improve facilities, programming and maintenance of the Duck Pond in an effort to make it more inviting. Maintain acreage and location of Library Park at Third and I Street and improve the park by designating areas and equipment for young children. Improve outdoor recreation space at Jefferson Middle School Academy. Encourage multimodal connectivity to, from and within Southwest and its neighboring areas. Expand the bike network and infrastructure across Southwest. Explore opportunities to promote car-sharing, carpooling and electric vehicles as a way of reducing carbon emissions. 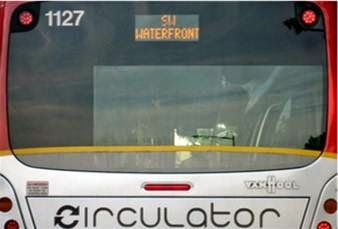 Update infrastructure at Metrobus stops and support new bus service that addresses resident needs. Develop a strategy for parking that reduces surface parking lots and discourages car dependency. Enhance pedestrian connections and safety throughout the neighborhood. Develop 4th Street into a neighborhood-oriented, mixed-use Main Street for the Southwest community. Improve the underpasses connecting Southwest to adjacent neighborhoods. Recruit additional retail and active ground-floor uses at key locations. 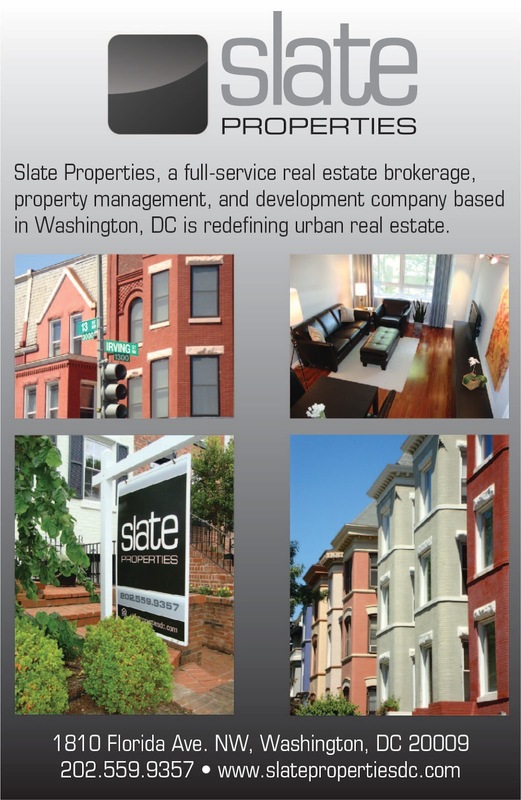 Maintain a mix of affordable and market-rate residential units that better serve community needs. Replace the current Southwest Neighborhood Library. Accommodate future demand for development on strategic parcels while ensuring that the character of new development complements the character of the existing community by providing design guidance and requiring Planned Unit Development for development under new land use designations. Allow for taller building heights, if appropriate, to enable, within the same permitted FAR, a mix of high and low buildings that can provide more open space than uniformly lower or mid-range buildings. Integrate green strategies, such as existing park preservation, storm water management and healthy living, across all parks and open space in Southwest to achieve Sustainable DC goals. Where Will a New SW Library be Built? The Little Quadrant That Could Turns Six!